With more than 50,000 plugins to choose from, it can be difficult to decide which will be most beneficial to your WordPress site and which you don’t truly need. When you’re just starting your WordPress blog or website, you need to have a game plan of which plugins you’ll need to create a website that’ll attract visitors. There are several areas of building a website you’ll need covered by plugins: security, appearance, analytics, forms and surveys, SEO optimization, and much more. It simply depends on what kind of website you’re trying to create. Here are 25 of the best WordPress plugins your website needs in 2019. It goes without saying you need to analyze your website to see how it’s performing and how users engage with it. That’s what MonsterInsights is for, working with Google Analytics to show your results so you can optimize it accordingly for better conversions. It’s free to use but does offer premium options if you want more features. You need a sturdy, reliable contact form plugin so that viewers can easily communicate with you. 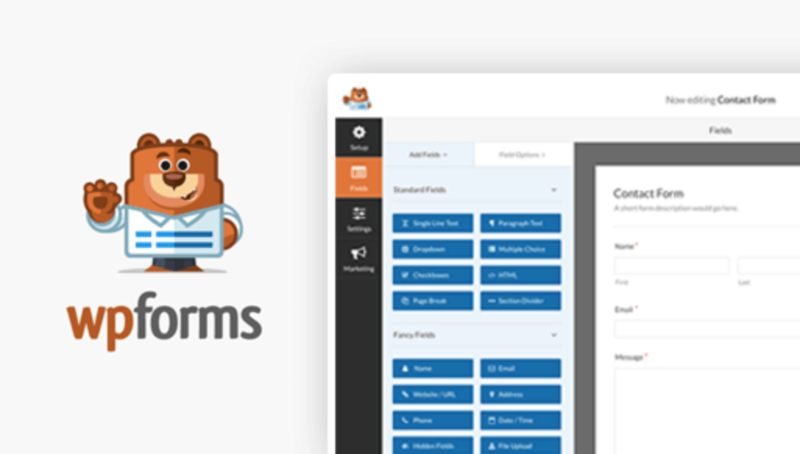 WPForms is a drag-and-drop form builder that allows you to create forms, surveys, polls, email subscription forms, and more. The Lite version is free and good for a new business while their pro subscription works well for growing businesses. You need a solid SEO plugin that guides you through all the steps you need to complete in order to rank high on search engines and improve lead generation. Yoast SEO lets you add meta tags, description tags, alt tags, image tags, and more. It’s the best on-page SEO solution on the market to date and a must-have for any website. Page speed matters, and if your images aren’t optimized, it’ll lag horrendously. TinyPNG lets you compress images right from your WordPress dashboard, decreasing image size and improving the user experience for your website. You can also optimize previously uploaded images for added convenience. When it comes to conversion rate optimization, OptinMonster is one of the most helpful tools available. It helps you increase your email subscribers with its optins to convert abandoning visitors into customers. It uses a drag-and-drop builder for ease of use and allows you to personalize campaigns for different users. Pretty Links lets you manage links for your site and works for bloggers, affiliate marketers, writers, and more. You can easily access the entirety of your links from your WordPress dashboard. It gives you complete control over how your links redirect and look on your website. Using this plugin for your redirection techniques is made super simple. MemberPress functions as an all-in-one membership plugin for WordPress that makes it easy to run a membership site. You can instantly charge users for access to your site and manage your subscriptions. Easily revoke and grant access to content like pages, posts, videos, communities, digital files, and more based on how they’re segmented. Autoptimize is a plugin used to simplify the process of optimizing your website. It concentrates all scripts and styles, compresses them, injects CSS in the page head, minifies HTML, and much more. It works to improve your site performance because giving visitors a positive user experience is important if they’re going to convert. Sometimes, your site goes under a period of maintenance where it can’t be readily accessible or available to visitors. That doesn’t mean your conversion rate has to plummet; you just need to plan accordingly. 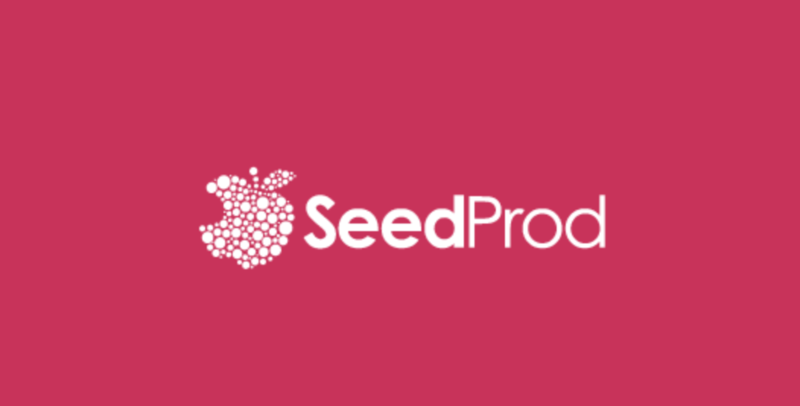 SeedProd is a maintenance plugin with beautiful coming soon pages that allows you to work on your site privately. SEMRush is an all-in-one marketing platform that gives you unlimited access to analytical data, custom reports, and team-based projects. Conduct deep link analysis, find the right keywords for your SEO campaign, visualize data, and much more with this helpful plugin. This is a great tool to use to brainstorm content ideas and refine your content marketing strategy. Humans face so many distractions while working, it’s always helpful to use an interface that eliminates these distractions and enhances your ability to focus. Just Writing does just that. It leaves nothing but the text box on the page so that you aren’t looking elsewhere or putting energy into anything that isn’t your blog post. It includes spell check and customizations so you can properly edit your text. AddToAny Share Buttons is a great plugin to allow users to share your content on their social media and get your content promoted. Choose from more than 100 social media platforms to post to including Twitter, Facebook, Pinterest, Google, LinkedIn, Reddit, and more. Customize your buttons any way you’d like to adjust to your brand. Sucuri is a security plugin that fixes hacks and protects from future attacks. It identifies indicators of compromise and comes with unlimited malware removal so you’re guaranteed safety for all your websites. You can also use it to optimize your website performance as well as use it for website backups so you can recover from hacks and other security breaches. If you run a business, you’re going to need to build an email list of loyal subscribers who want to stay up-to-date on your brand. Constant Contact is an email marketing plugin that has more than 100 customizable email templates, track your success with real-time analytics and reporting, and collect email addresses through your website, Facebook, and more. If you’re running an ecommerce shop, WooCommerce is the most popular option for WordPress. It’s an open-source, fully customizable platform anyone can use around the globe. It comes with the ability to sell both physical and digital goods, more than 400 official extensions, countless themes, and more. Personalize your shop to fit your brand image and easily sell products and collect payment. Beaver Builder is a page builder plugin that uses a drag-and-drop interface that’s easy to use and straight to the point. Build the website you want without fuss by playing around with the existing creative templates and create layouts in minutes. It’s mobile friendly, has shortcode and widget support, is optimized for SEO, and works with nearly any theme out there. With Formidable Forms, you can build a single contact form or multi-page forms with file uploads and calculations. Create data, listings, and other data-driven web applications and build forms with the easy to use drag-and-drop form builder. The front end editor makes it simple to make customizations and edits and user-created content. It’s not a bad idea to add two-step authentication to your website to lessen the chances of security breaches and hacks. Google Authenticator puts a random passcode in place to verify that the right users are logging into your site and have access to its content. Only you have access to your mobile device, so the plugin will know it’s really you. Title Experiments is a plugin that lets you A/B test your titles to determine which one brings in more visitors and conversions. From there, you’ll be able to craft similar content that’ll continue bringing in traffic and increased engagement. It records how many views and clicks each title gets so you’re on top of your content decisions. 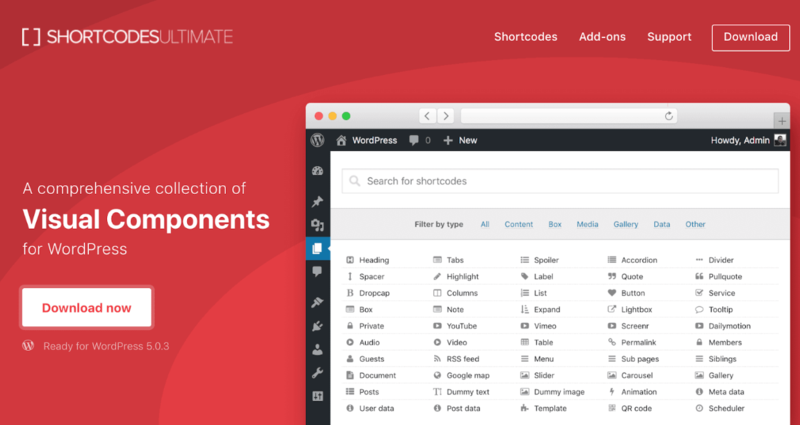 Shortcodes Ultimate provides you with tons of shortcodes so that it’s possible to customize your website with ease and simplicity. You can combine shortcodes as well because they’re multi-functional. Choose from different styles for your shortcodes or create your own. 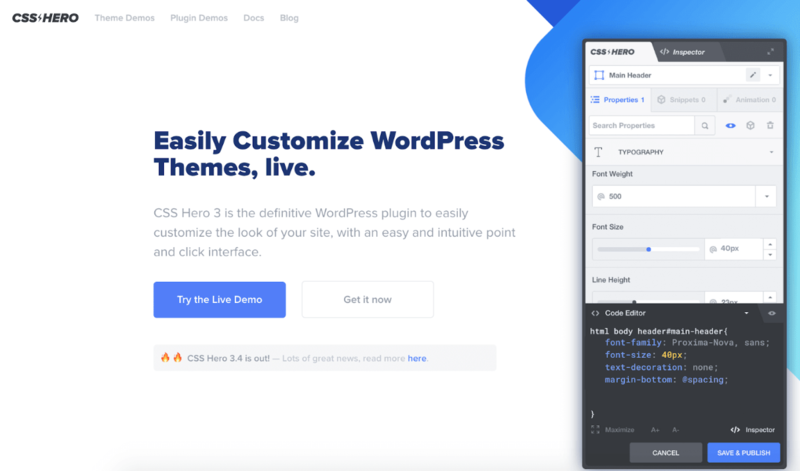 CSS Hero allows you to customize any existing theme to your liking without knowing any code. Customize for mobile devices, choose different colors and font types, and adjust margins and paddings to your liking so your website looks exactly how you want it. You need to streamline your user experience if you’re going to attract visitors and grow your traffic, and you can do this by making sure all your links are working. Broken Link Checker continuously monitors your blog to check for broken links and notifies you via your dashboard and email. Thanks to Easy Google Fonts, it’s now possible to add Google fonts to your WordPress theme and customize your look to your liking. It’s compatible with any theme and doesn’t require you to know any coding so even the most novice website developers can get the fonts they want. It’s essential that you store and backup your website data and coding just in case anything happens to it. Store your backups on several different platforms including Google Drive, Dropbox, Amazon S3, and more. It integrates beautifully with WordPress so your website runs seamlessly. As you continue to build your WordPress website, you’ll continue finding plugins you’ll need in order to create the site you want. When it comes to choosing plugins, think about all the elements you see your competitors using on their websites that gets them visitors and increased traffic. What plugins will you be using this year?